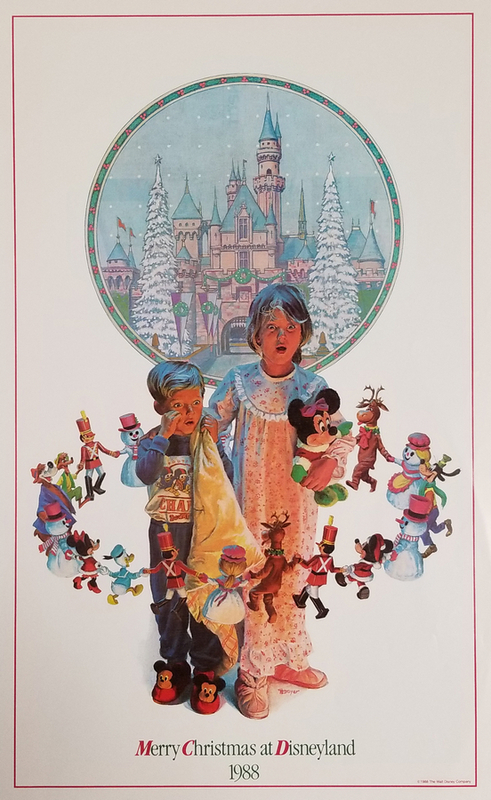 This is a poster print design by Charles Boyer for Disneyland from 1988 entitled "Merry Christmas at Disneyland." 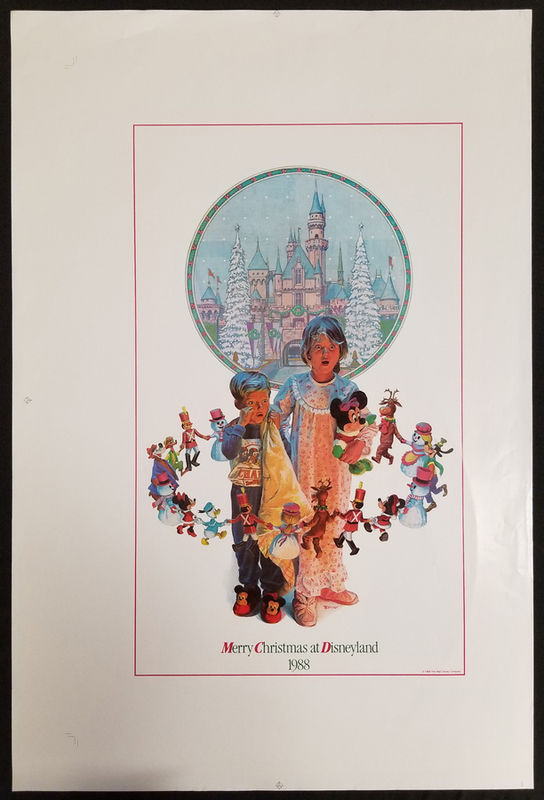 This particular print was a test for the poster (which is why the margins around the image are off center, and features a whimsical image of Children with Disney chracters dancing around them in their pajamas. This print measures 35" x 23.5" overall with the image area measuring 25" x 15", and is in very good condition with minor edge wear in the margins, away from image.